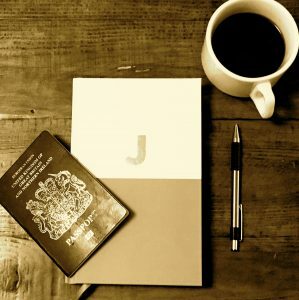 An expat organisation recently stumbled across this blog and asked me if I’d like to be interviewed. The interview was carried out via email, which my journalist friend tells me is common practice these days. I answered five pages worth of questions about my experience of moving to New York: why had I come, what did I enjoy most about my host city, what did I miss about home, what adjustments had I had to make, what was the cost of living like, how was the public transport system, and healthcare? These were all relevant and interesting questions, but a few weeks after I’d whizzed off my answers I realised that there was one very important question that had been missing from the interview. A question about shoes. It might have been posed thus: how have you navigated the footwear dilemmas posed by your host city? Or perhaps thus: what is your footwear strategy for your host city given that you have no car and walk virtually everywhere? C1 and C2 had not heard of this block-based approach to shoe choice. They asked me to articulate it. And so I did, and so I will do here and now. Your ten-block shoes are those pretty flat sandals or ballet pumps. They’ll serve you well for a walk to Barneys to have lunch, or a stroll to Bloomys or the Frick, but anything further afield and they will begin to rub and pinch and make you long to slip your feet back inside those Fit Flops. Your five-block shoes have heels. Not stiletto heels, but those chunky two-inch heels that have (thank the Lord) come back into fashion . These five block heels will just about get you from East 66thstreet to a dinner at August on Lexington, or Le Cognac on 70th. Or you could happily stand in them at a cocktail party for several hours without wanting to saw your own feet off. Then you have your one-block shoes, which, if we’re being honest, are really taxi shoes. These are basically anything with a thin, high(ish) heel and a pointed toe (or, it turns out, Zadig and Voltaire walking boots). You can’t walk any distance at all in one block/taxi shoes, not even a block, really, unless it’s the block between the door of the taxi and the entrance to the restaurant. I own one pair of these shoes. I purchased them in London because I thought they would be perfect for my new New York life, whatever that was going to be. They sit on the top shelf of my closet, unworn. Last but not least, you have the shoes that have nothing to do with either blocks or taxis. They’re your specialist shoes. In my case, they are the black lace-up Cuban heels I wear at the Arthur Murray Studio. They are soon to be joined by a pair of low heeled suede cowboy boots (L2’s will be mid-brown leather) designed to improve our line dancing technique and help us to cut a dash around the camp fire in Wyoming later in the summer. Left to right: Fifty-block shoes (a bit of a disgrace, I now notice), ten-block shoes, five-block shoes, one-block shoes (unworn, waste of money), and speciality shoes. That’s a lot of shoes. Because it isn’t enough to own just one pair of shoes in each category. Obviously. Of course everyone has some sort of shoe strategy, no matter where they live. But I’d wager a bet that if you live in a city centre and you mostly walk rather than drive, your strategy will be more or less block based, even if you’ve not articulated it as such. As for living in Wimbledon, where I drove or took taxis almost everywhere, I could pretty much wear whatever shoes I felt like on any particular day, without giving more than cursory consideration to what the weather was like or where I was going. which sells colourful, quirky shoes and boots that are hand-made in Vancouver. I very nearly succumbed to a pair of turquoise cowboy boots, but L1 sent me an in-the-nick-of-time text reminding me that we had already purchased our cowboy boots for the upcoming Wyoming trip. As if we hadn’t had enough of shoes, we then spent Sunday morning in Toronto’s Bata Shoe Museum, where we took in a Manolo Blahnik exhibit and learned about all the shoes in the world that came before his, everything from Alaskan boots made from salmon skin cured with urine to Tibetan sandals on stilts. It turns out that most cultures have relied upon variations of the block strategy for footwear – the African king who wore the ornate gold sandals with the enormous chunk of metal between his toes while sitting on his throne certainly wasn’t planning to walk anywhere. So. Shoes. Dancing. You already know about the Cuban heels and the cowboy boots. I do hope the boots arrive before the end of this week, as we’re having our final batch of dance lessons before going back to London for three weeks, and we’d really like to see how much the boots improve our country and western creds. L1 has gone mad this week, booking us three private lessons, and suggesting that we participate in a couple of the group lessons in addition. The group lessons can be a bit traumatic for me. Participants are required to change partners every five minutes or so, and some of the men are both rhythmically and stylistically challenged. One in particular, let’s call him G, has what might be politely described as a frighteningly intense look in his eyes, and what would be diplomatically described as only a passing acquaintance with the deodorant stick. Also an inflated opinion of his own dancing prowess. Last week, when we were dancing the foxtrot together, he insisted that we should be zigzagging across the floor. I didn’t believe him, but it was difficult to argue, what with the forceful way he was pushing me backwards into a zigzag. After the group lesson, I sidled up to one of the instructors and told her that one of my dance partners had insisted on zigzagging throughout the foxtrot, and was that correct? “That must have been G, right?” she said, rolling her eyes. I was vindicated. But that doesn’t help me much in group lessons when G is present. L1 doesn’t know how lucky he is. The worst thing he ever has to deal with is a case of flapping elbows or overactive knees, or – as was the case last week – both at once. The best group lessons, of course, are the ones with people you know. We enjoyed one of these when C1 and C2 were in town and Jacqueline agreed to teach all four of us together. To the accompaniment of Man I feel like a Woman and Sweet Home Alabama, C1 and C2 were treated to a whistle stop tour through the five or six line dancing steps that L1 and I have been practising for months, They picked the steps up in no time, and danced with amazing dexterity, rhythm and flair. It was most annoying. As always fascinating read. Think you and Patrick should put on a dance show when back . Expecting great things!